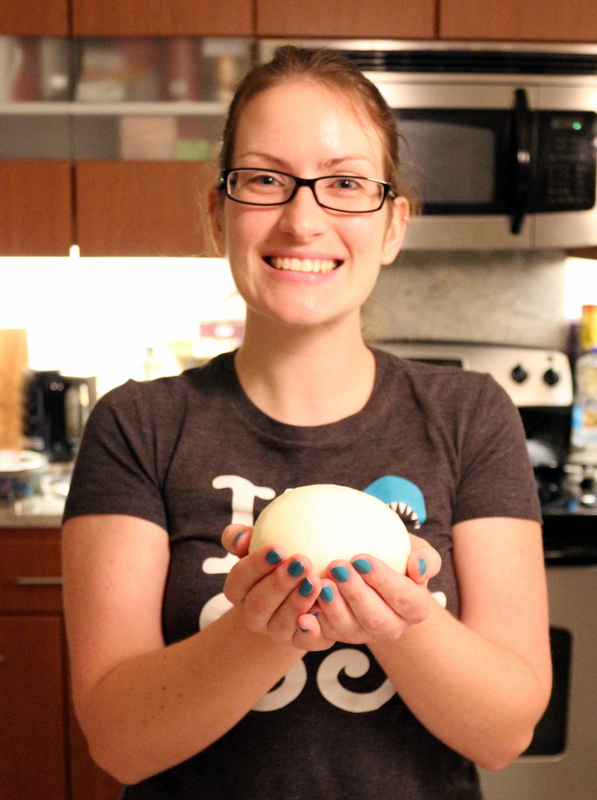 So, last week we made pizza, and tried to make cheese, and we kind of succeeded. It was just not mozzarella, kinda ricotta-ish, or like a cheesy dip/spread type consistency. We did of course put it on the pizza anyway, and then dipped Kettle Chips in it. Waste not want not. Tonight I had another go. Yeah baby! Look at that mighty lump of cheese! Stir the citric acid into the 1/2 cup water and set aside. Dissolve the 1/4 tablet rennet into the 1/4 cup water and set it aside. Depending on brand, the tablet instructions may require you to leave it at this stage for 20 minutes to ensure it is fully activated. Mine did. Pour the milk into a large stockpot, and add the cream if using. Stir in the well-dissolved citric acid and warm to 90F/32C over a medium heat. Once at temperature, slowly move the pieces around in the warm whey to help them cook for another 3 minutes, then scoop out the curds into a microwave-safe bowl. The instructions say scoop, I strained out the curds through cheesecloth in order to remove as much whey as possible, and used a shallow dish to microwave the curds so that they were as flat as possible. Microwave on high for a minute, then fold the curd mass over itself 5 times to distribute the heat evenly, then drain off any whey that is released. NB. You can use your hands, or a spoon/clean-gloved hands if the curds are too hot. 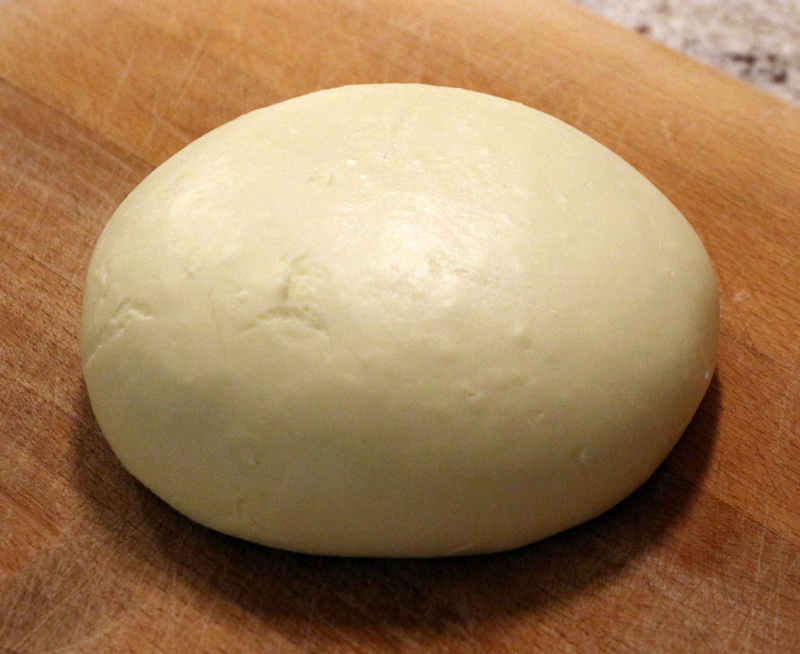 Kind of like kneading bread dough. Microwave for 30 seconds on high, then drain off any whey that is released. 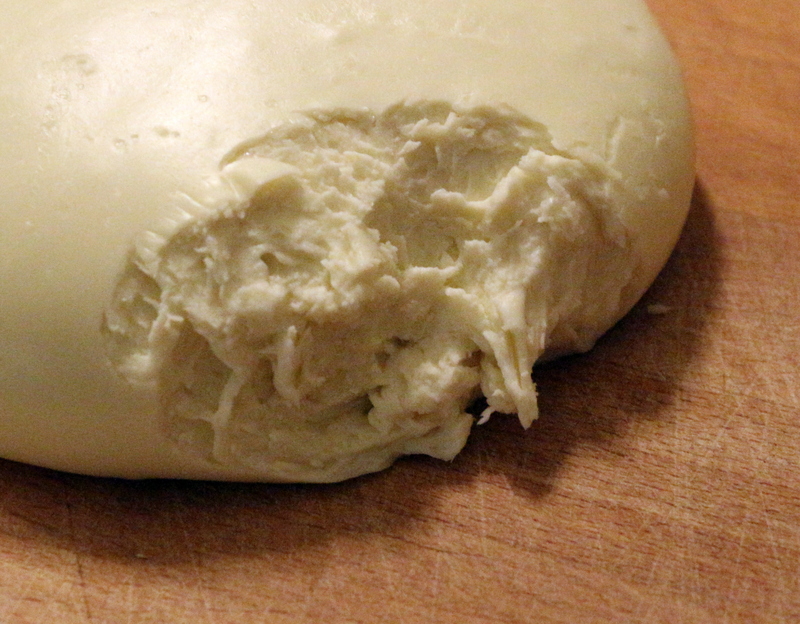 Sprinkle the salt over the surface, then fold and flatten the curds to incorporate the salt evenly. Microwave again for 30 seconds, drain off any remaining whey, and fold the curds over themselves repeatedly until they transform into one large mass of smooth stretchy curds. It is now ready to use as you wish. This was the first recipe I have tried from my One-Hour Cheese book that I bought at Christmas. So far, so good, as long as you read the instructions both in the book, and that come with your rennet. There are also a few other recipes I fancy trying. What can I say? I’m a Microbiologist after all!